For 2018, our goal is to provide the tools and resources Ohio’s community banks need to successfully drive innovation. Our niche as genuine, dedicated partners for our communities combined with our agility means we have the capability to effectively drive change. From adapting and understanding technology, retooling our branch footprints, gaining expert industry insight, and evolving our operations, this year’s convention combines education and networking in a fun and creative environment. "The educational sessions were the best in several years." "A lot of variety. And the give-a-ways were great!" "The networking events were done well." "Best one in some time." This year's course is a stunner - nestled on the shores of Lake Erie, this challenging Arthur Hills design is a US Open qualifier course! Registration includes greens fees w/ cart, amenity bag, adult & non-alcoholic beverages, course contests, lakefront lunch, & shuttle service. $169.00 for CBAO Members / $199.00 for non-members. Join us July 31 for a day of great golf, unique contests and a ton of fun! We are thrilled to announce that registration is OPEN for our 2018 Annual Convention & Trade Show! We're finalizing speakers and events now and will update our agenda as we confirm details. Swim, Sip, Spa - Relax! 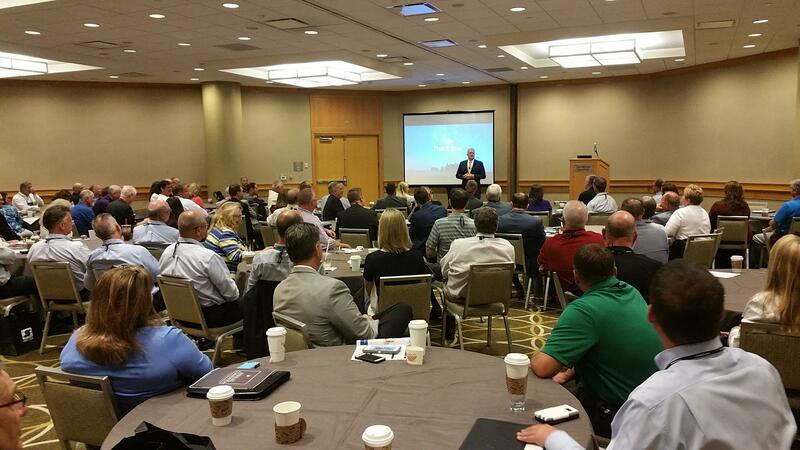 The CBAO Annual Convention is the event for community banks in Ohio. Exclusively focused on the needs of the community banking industry, our attendees come to connect with current and potential service providers, engage in meaningful conversations about new opportunities and celebrate community banking! NEW THIS YEAR! We now have online registration available for our exhibitors and sponsors. Inspired by the adventure and intrigue of Africa, Kalahari Resorts presents a bold destination for attendees and their guests. The Sandusky resort offers an easily accessible exhibit hall, unique destinations for networking events, plus a 250,000 sq ft waterpark, relaxing spa, outdoor adventure park, animal safari, and much more! Join CBAO as we go beyond your typical convention to an unconventional experience that's beyond belief. Welcome to Kalahari. Hotel reservation information will be given during registration. If you have any questions or would like the group code, please contact Kelly at ksphillips@cbao.com.